On the back of the success of the GSX-S1000, Suzuki is going to try to repeat the trick but using the Gixer 750 motor to form the GSX-S750. We’re hoping this will be no repeat of the korma-mild GSR750, and a rather hoping it’ll be a ‘little’ belter. 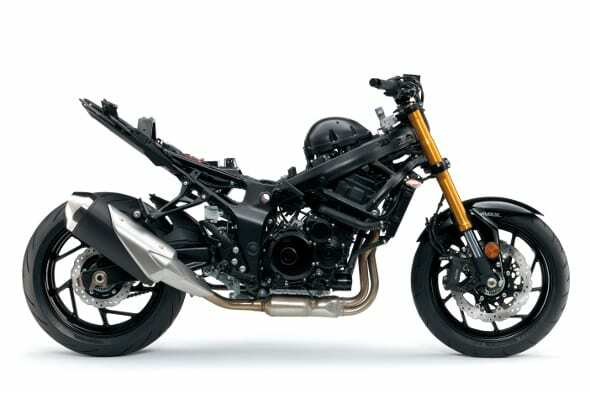 Again, harking back to 2005 (the same year of the GSX-S1000’s motor), Suzuki has raided the motor from that year’s GSX-R750 (as used in the GSR) and tuned it for its new use. New crankcase ventilation holes are added to up power levels – now up to 112bhp – from 15bhp of the GSR750 – while injectors go from 8-hole to 10-hole units. For added pep, the final gear ratio is shortened. A new airbox promises a decent soundtrack. 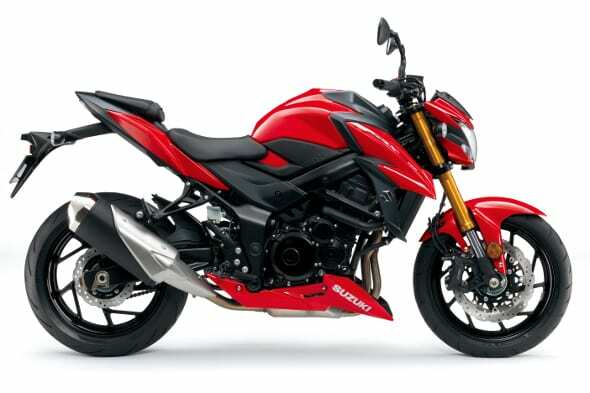 Suzuki has gone traction control mad this year, offering the GSX-S750 its three-mode system using wheels speeds along with throttle, crank, and gear position sensors that monitor conditions ever four milliseconds. This is the same as found on the bigger GSX-S machines, and like these it can also be turned off. 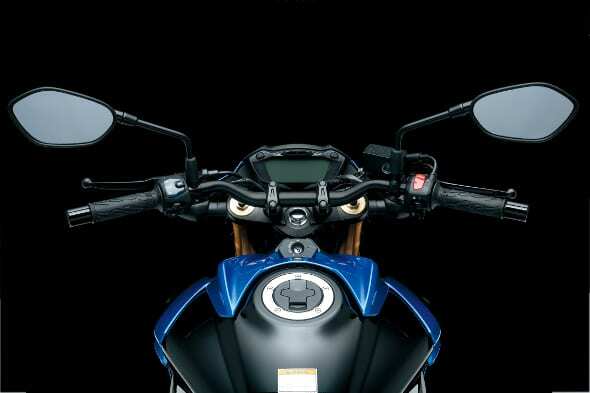 The GSX-S750 uses 41mm KYB upside-down forks and Nissin radial calipers at the sharp end, but the forks are only preload adjustable (as is the rear shock). 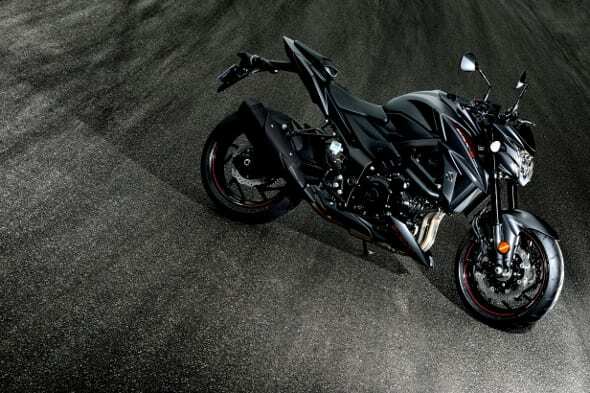 As per Euro4 rules, the bike has a Nissin ABS system. 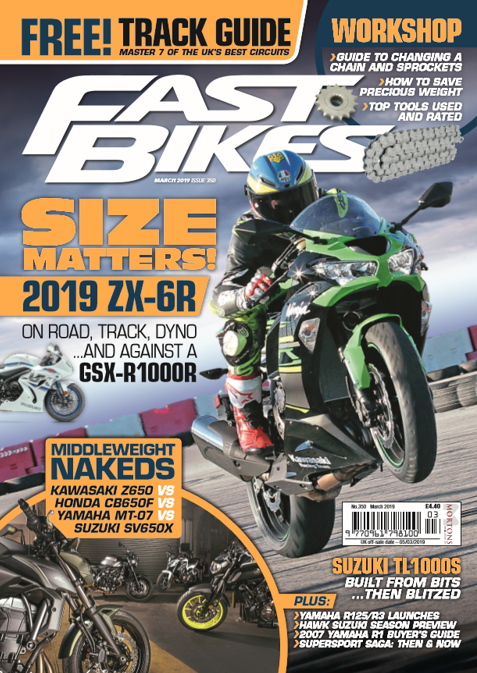 All in all, if you like the looks of the GSX-S1000 but were put off slightly by either the price or the capacity, then this 750 version should be just the ticket – and a viable option against the new wave of bigger, burlier naked middleweights. At 213kg, it’ll have its work cut out against slimmer rivals, but as we know, that motor can more than make up for any deficiencies – and will more than likely enjoy being tickled, too.